Not sure what zone you are in? 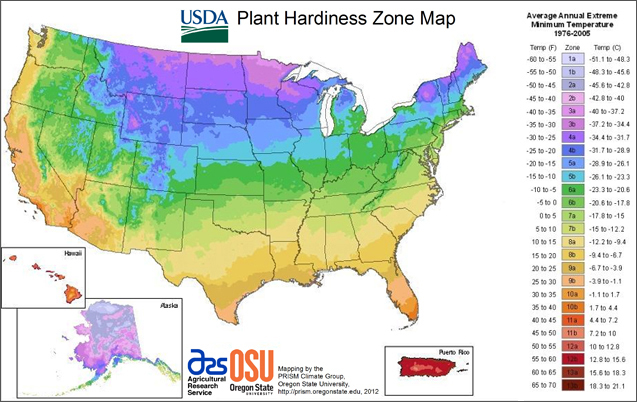 The USDA provides plant hardiness zone maps as you are making decisions for what to plant. While we include an image of the map for the USA and New York below, you can use the 2012 USDA Plant Hardiness Zone Map website to scale in to one-half mile. It also includes a ZIP code finder which provides the hardiness zone for your ZIP code.